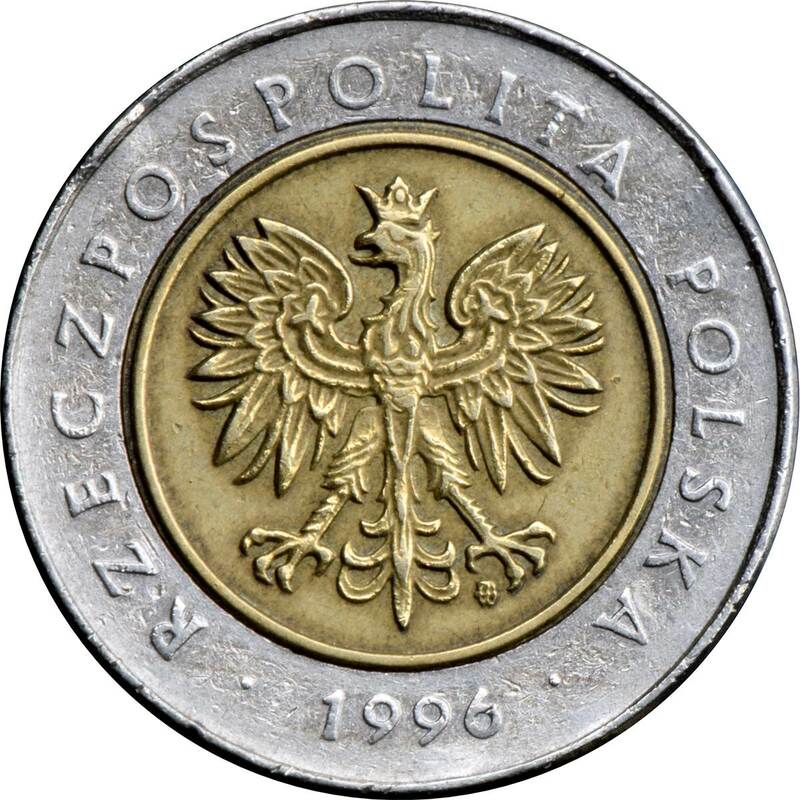 Eagle in the coat-of-arms of the Republic of Poland, state name in Polish 'RZECZPOSPOLITA POLSKA', and year of issue. 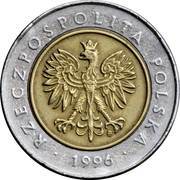 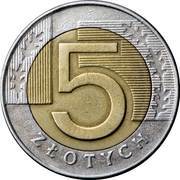 The denomination is surrounded with five oak leaves on vertical and horizontal lines which redesign the denomination. 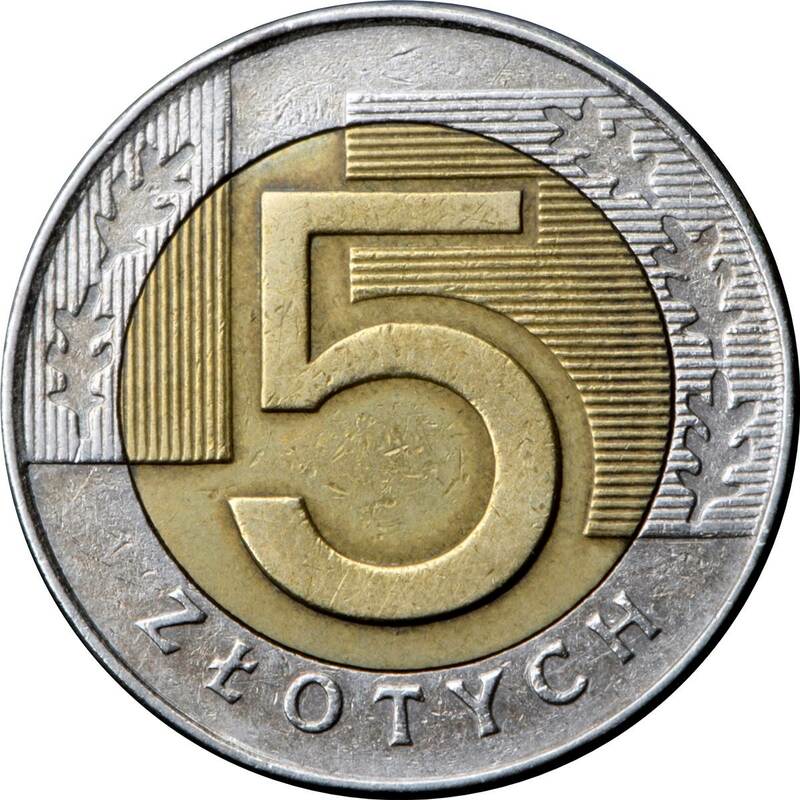 Reeded, with 3 equidistant missing reeds.